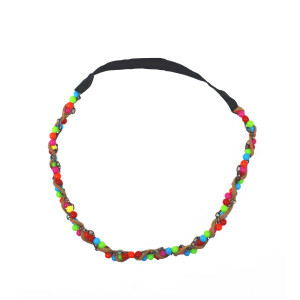 Elastic hairband with braided colorful beads and faux suede. 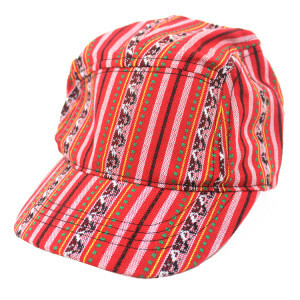 Mexican stripe fabric five panel baseball cap. 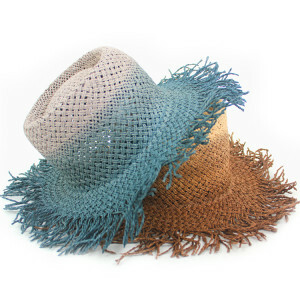 Tea stained straw sunhat with fringe. 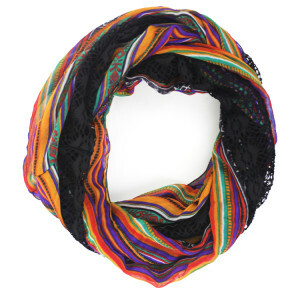 Mexican stripe fabric with crochet eternity scarf.